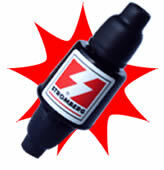 The Stromberg Power Plus is a low cost, easily fitted device that promises to boost the performance of any spark ignited engine. More Power - Less Gas! We are proud to introduce to you the latest technology in SAVING on your fuel consumption by improving the PERFORMANCE of your engine! The STROMBERG HIGH FREQUENCY CONVERTER is a must for all motorists. This device can be fitted to any type of engine in less than a minute. What's more - it also carries a lifetime guarantee. It can even be transferred to another car unit without affecting its performance and efficiency. 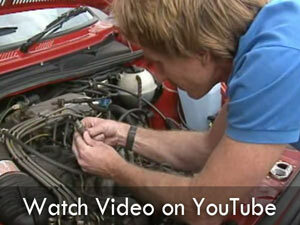 The current from the ignition coil is the life force of the engine. The Stromberg High Frequency Converter improves the ignition spark by changing the frequency, allowing the engine to perform to its full capacity. The Mark 7 - High Frequency Converter is simply screwed into the high tension lead running from the coil to the distributor. Fits any standard & electronic ignition system. The Mark 8 & 10 High Frequency Converter is easily fitted on each spark plug lead. Accepted all over the world for the past 20 years. All its claims MUST BE TRUE ... else it would have been discontinued from the world market many years ago. © Fuelsaver International cc. All rights reserved.